This off-duty combo of a Calvin Klein Solid Button Front Woven Shirt and hot pink chinos can take on different moods according to the way you style it. Dark brown leather desert boots act as the glue that will pull this look together. Wear a light blue long sleeve shirt with blue jeans for a laid-back and cool and fashionable look. To give this getup a classier finish, why not introduce a pair of dark brown leather derby shoes to the mix? A light blue long sleeve shirt and white chinos? This is an easy-to-achieve ensemble that anyone could wear on a day-to-day basis. 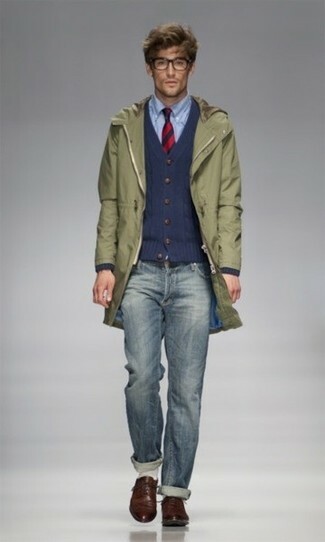 To give this look a more casual spin, complement this ensemble with grey low top sneakers. 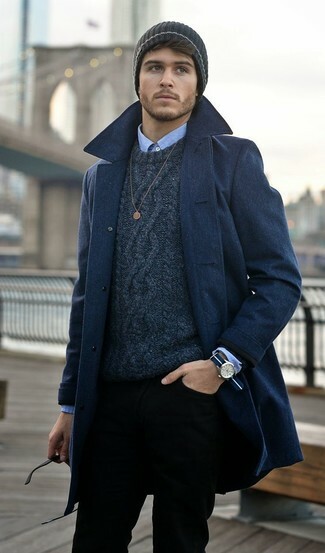 Loving how a light blue long sleeve shirt looks with black skinny jeans. A resounding yes to this laid-back combo of a Calvin Klein Solid Button Front Woven Shirt and black chinos! For something more on the daring side to complement your outfit, complement this outfit with a pair of white leather low top sneakers. 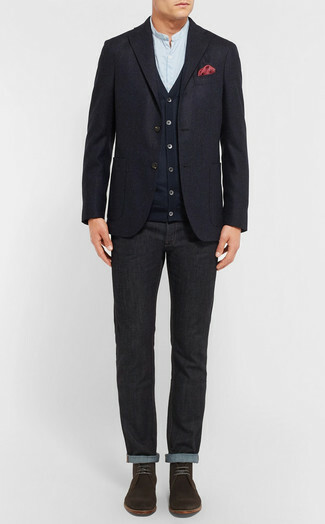 For a casual outfit, pair a Calvin Klein Solid Button Front Woven Shirt from Amazon.com with navy chinos — these items fit perfectly well together. Get a bit experimental on the shoe front and tone down your ensemble by rounding off with a pair of white low top sneakers. 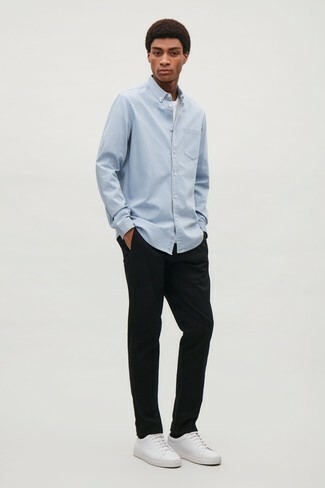 If you love classic pairings, then you'll love this combination of a Calvin Klein light blue long sleeve shirt and white chinos. 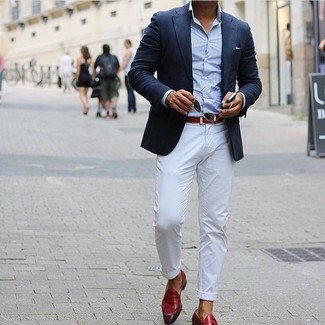 If you wish to easily up the style ante of your look with shoes, add red leather tassel loafers to your ensemble. 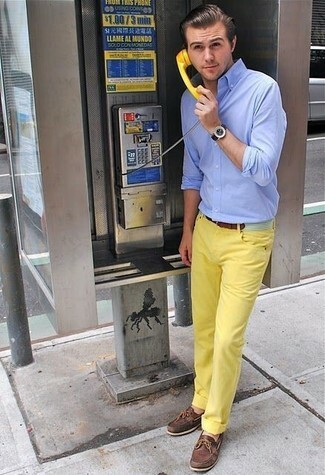 Combining a Calvin Klein Solid Button Front Woven Shirt from Amazon.com with yellow chinos is an on-point pick for a casually dapper getup. For extra fashion points, complement your ensemble with a pair of dark brown leather boat shoes. Rock a Calvin Klein Solid Button Front Woven Shirt with black jeans to achieve a truly stylish and current laid-back ensemble. A pair of dark brown suede desert boots is a surefire footwear style here that's also full of personality.